I’m happy to report that my take on traditional cream cheese frosting does not include either dairy cream cheese or processed vegan cream cheese. The star here—as with my fruit mousse—is cashews. I’ve been using cashews in everything lately, from my “alfredo” sauce to my creamy vegetable sauce to this cake topper. It’s amazing how smoothly they blend up and I’ve come to prefer them to blending up tofu most of the time. In other news, a recent Bountiful Basket yielded sixteen pounds of pomegranates, so Travis and I have our work cut out for us in using all of those up. Pomegranates are normally quite expensive, so we seized the opportunity to stock up on this super food for cheap ($15!). Thirty-two weeks pregnant tomorrow, my cravings for dessert have not subsided, so it’ll be pomegranate desserts and smoothies for the next several weeks! 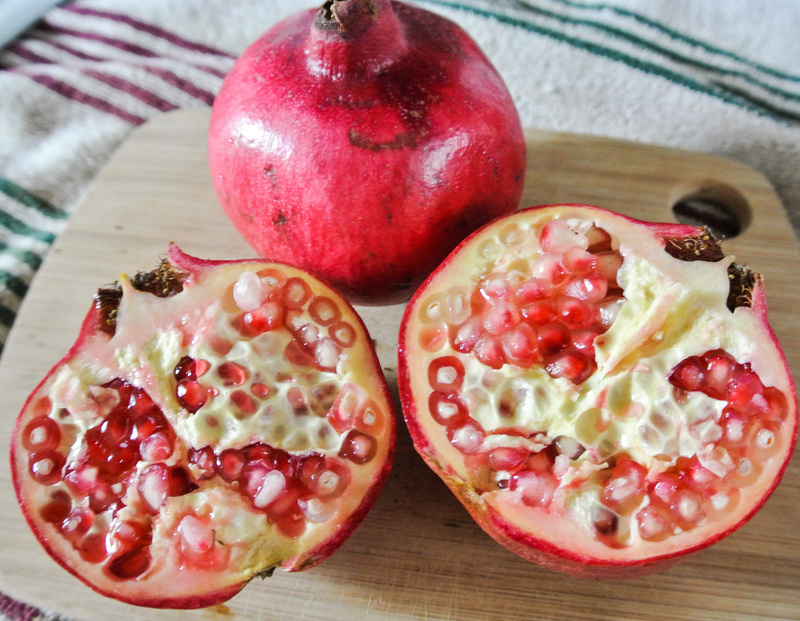 The pomegranate is similar to an apple in shape and filled with sweet, juicy seeds, known as arils. The arils are the only edible part of the fruit and thus, where all of the nutrients lie. Arils are high in fiber, vitamins C and K, and polyphenols. Polyphenols are rich in heart health and anti-cancer benefits, making the arils and their juice highly sought after. 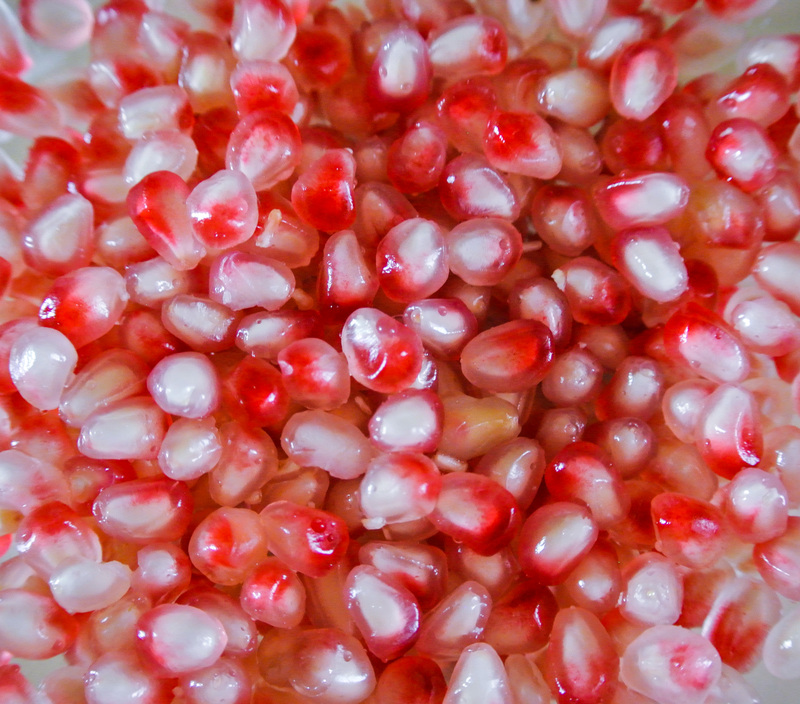 Having such a large batch of pomegranates right now means that I have fruits of varying colors and sweetness levels. 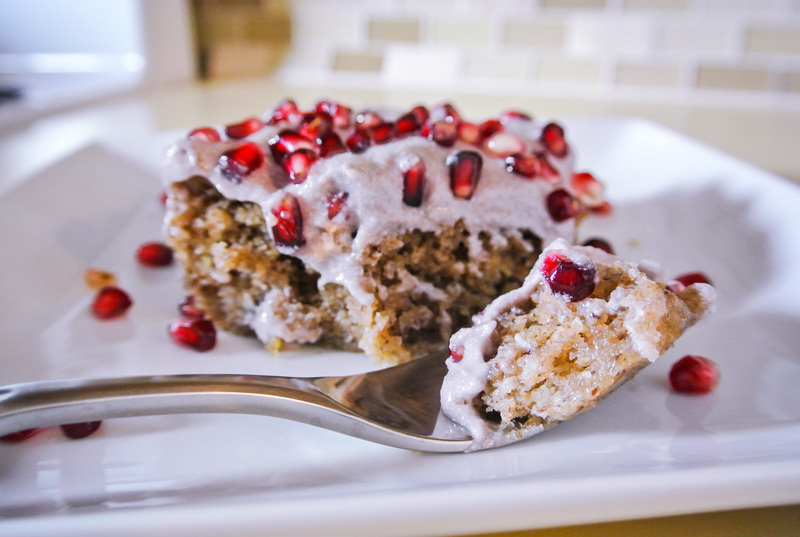 Believe it or not, the paler arils from the pomegranate pictured above were actually sweeter and tastier than the richer red arils retrieved from a second fruit to garnish the cake. As a result, I used the paler arils in the icing itself and the deep red arils for sprinkling. If I were to make this frosting again, I would consider using more cashews to bump up the cream cheese flavor, but I can definitely taste the resemblance in this rendition. Delicious and inspiring that someday I’ll get vegan cheesecake right. 🙂 Enjoy! 1 cup flour –> I’m using whole wheat. 1-1 ½ cups plant milk (depending on the flour) –> I’m using ¾ cup almond since I’m using extra liquid elsewhere. ¾ cup sweetener –> I’m using turbinado sugar. ¼ cup oil –> I’m using coconut. 1 vegan “egg” substitute (i.e. mashed banana, applesauce, etc.) –> I’m mixing a few tablespoons of hot water with my ground flaxseed. 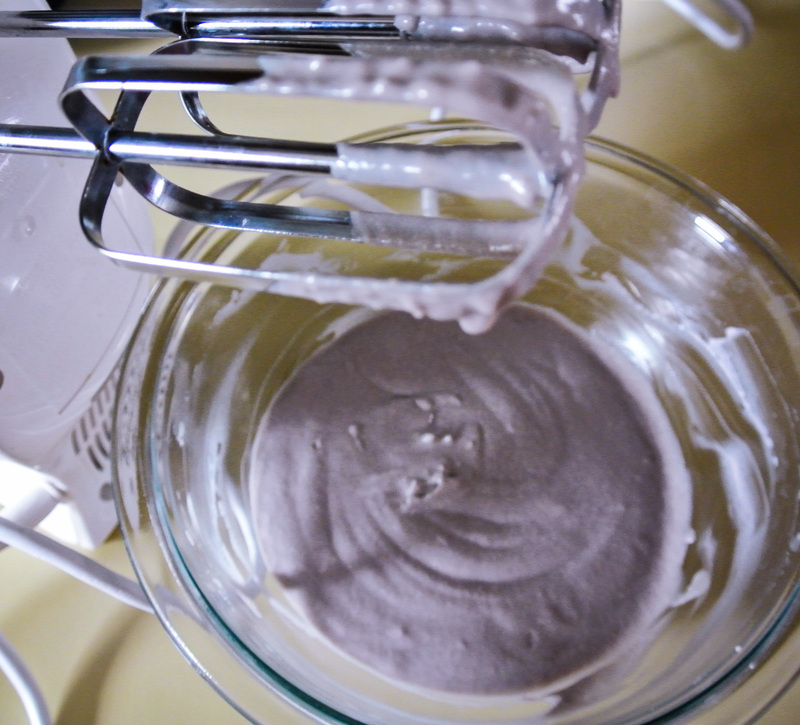 1 tsp xanthan gum (a binding agent, if using gluten-free flour) –> I’m not using it. ½-1 tsp extract (depending on the flavor intensity) –> I’m using 1 tsp homemade vanilla. Up to ½ cup specialty ingredients (chopped nuts, dried fruit, shredded coconut, cocoa powder, citrus juice/zest, etc.) (optional) –> I’m using the zest and juice of 1 lemon. 1 cup coarsely chopped fresh or steamed fruit (depending on the fruit) –> I’m using ½ cup pomegranate arils and ½ cup raw cashews (soaked overnight). ½ cup powdered sweetener –> I’m using turbinado. 1 tsp citrus juice (to preserve the color of the fruit)* –> I’m using clementine. ½-¼ tsp extract (depending on the flavor intensity) –> I’m using a splash of homemade vanilla. *I would avoid food coloring unless you can find an all-natural variety containing plant pigments. Some varieties come from animals and others are made artificially with chemicals. Preheat your oven to 350 degrees. Prepare your “egg,” whether that involves scooping, mashing, combining, etc. in a large mixing bowl. Mix together all of your wet ingredients in the same bowl. Separately mix all dry ingredients. 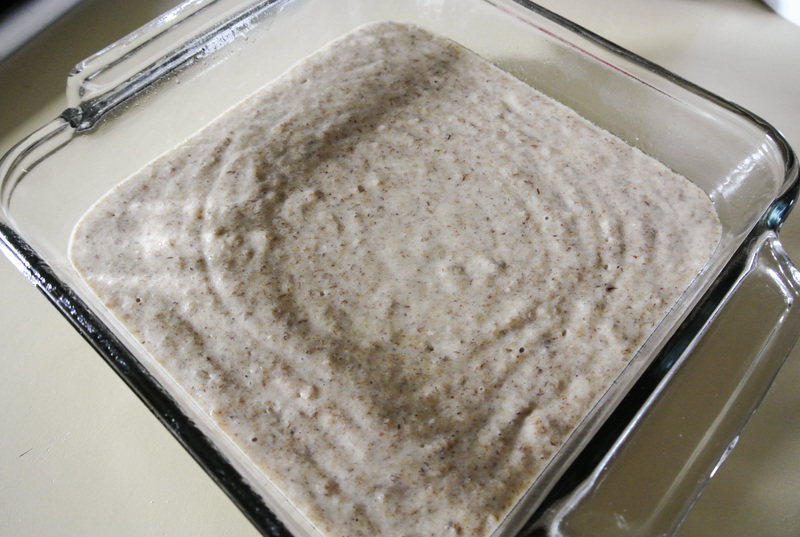 Using a whisk or wooden spoon, slowly incorporate the dry into the wet until a smooth, pourable batter forms. Stir in any specialty ingredients, if using.Pour the cake batter into a greased square 8 x 8 baking dish or round baking dish, or evenly into 12 lined muffin cups. Place the cake/cupcakes in the oven for 30-35 minutes, or until a toothpick inserted in the center comes out clean. My mom always told me that it’s better to over bake a cake (and under bake a brownie); nothing worse than goopy batter in the middle!Set your cake on a cooling rack for an hour or two. Speed the process by placing it uncovered in the fridge. While the cake is baking, make your frosting. First, puree the fruit, cashews, citrus juice, and extract to a smooth, pourable consistency. Beat together the sugar and butter/shortening, slowly incorporating the pureed fruit mixture until an icing-like consistency is achieved. Cover and chill in the fridge while your cake cools to stiffen it up, at which point it will be more spreadable and less pourable. When your cake (or cupcakes) is cool, frost, garnish, and dig in!